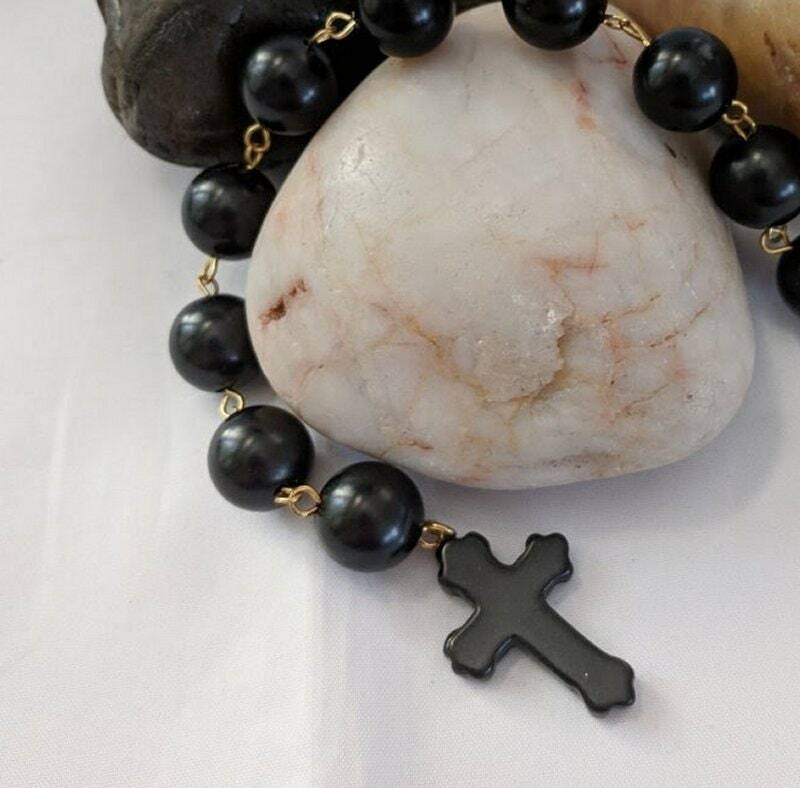 A prayer chain with 10 black natural jet beads (12mm) linked with jewelry wire. It has a jet cross that is approx. 1" high (19mmx28mm). On the other end is a metal ring with a black cord for tying the chaplet to a belt or purse. 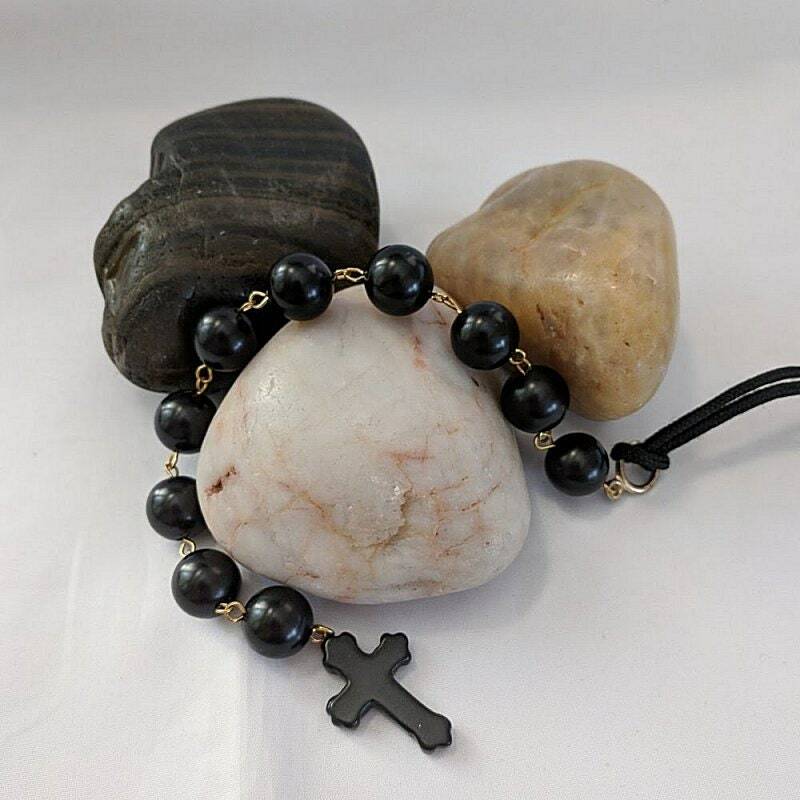 Overall the rosary measures approx. 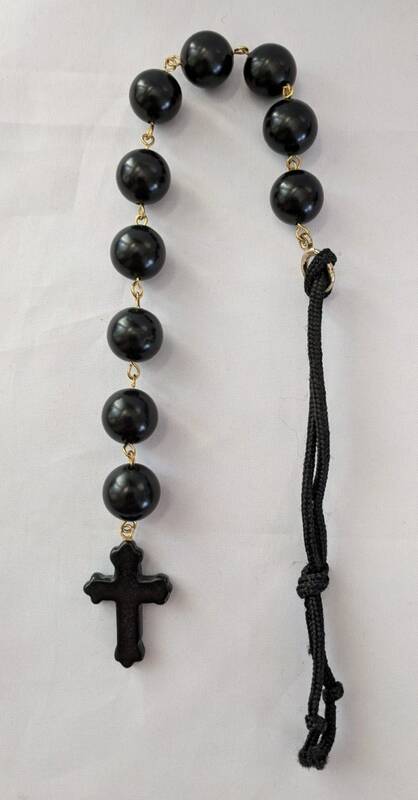 This style of chaplet was popular before the rosary was standardized at the Council of Trent in the late 16th century. TENNER - A chaplet with ten beads, called a Tenner or in German, "Gebetskette Zehner" (prayer chain with 10 beads), was very popular in the 15th and 16th century. They usually had a saint's metal, cross, pomander or tassel hanging from the bottom. 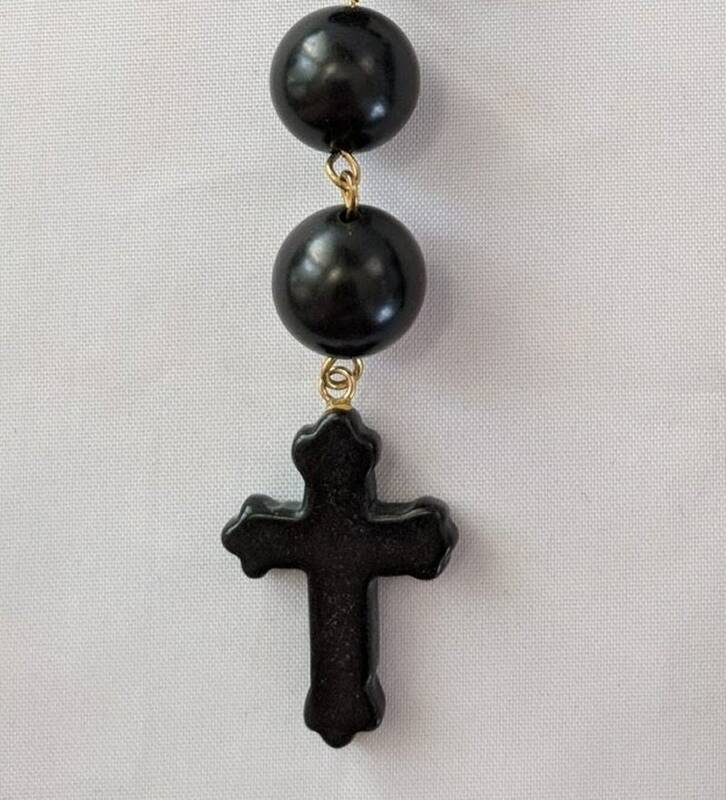 Often an eleventh larger bead for saying the Lord's Prayer was added, as well as a cross for saying the Apostle's Creed. JET is believed to be a stone of protection and can protect one from the forces of darkness and violence while on their spiritual journey. It will assist a person to take control over his/her own life. It was one of the most popular beads used in ancient times for its power. Jet (Male) and amber (Female) are considered to be stones of the High priestesses and High priests. In the past, this combination of powerful stones was used also by the saints and shamans.